Kroger’s smart shelving pilot is in its very early phases. The massive grocery conglomerate, which is the parent firm behind some 2,780 stores in the U.S., has so far fewer than 100 stores carrying the digitally-equipped shelves Kroger co-developed with Microsoft. 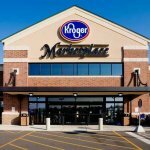 But according to Kroger’s leadership, the shift to digital shelving and other new features starting to make their entrance into Kroger today are part of a bigger transition the brand is making as it seeks to better serve the needs of its customer base. 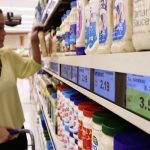 The shelves are designed to offer a few kinds of digital supports — reportedly they will be able to show ads, digital coupons that consumers can easily add to their mobile devices and change prices on the fly. The shelves will also reportedly be built atop of a network of sensors that keep track of products and keep in-store inventory counts accurate and up-to-date in real time. The system made its first in-store appearance last fall, and can now be found in 92 Kroger locations. At Kroger’s two high-tech test stores in Cincinnati and Redmond, Washington (near Kroger and Microsoft’s respective HQs) the shelves can interact with the Kroger’s mobile app to guide them through the store to the items they’ve selected. Out of the team-up Microsoft gains a partner, and a big one, to build its cloud computing business, which as of today is still much smaller than AWS. But Microsoft has the major advantage of not being Amazon — which has made a big and aggressive push to capture a larger share of the $860 billion annual grocery market in the U.S. That move has put pressure or grocery retailers of all sizes, particularly on sales figures and share prices over the last two years. Big retailers’ reluctance to pay Amazon for anything, including cloud services, have been Microsoft’s gain as it attempts to snap up market share. Kroger, for its part, gets another competitive tool to add to its growing arsenal against Amazon as it attempts to win the grocery Hunger Games, but also a proprietary piece of technology that it hopes to be able to sell to other retailers. “Together we can create something that, separately, we could not,” Kroger Chief Executive Officer Rodney McMullen said in a joint interview with Microsoft CEO Satya Nadella. The two companies have worked on projects before but deepened their collaboration over the last 18 months. Amazon already grabs about 50 cents of every dollar spent online, but that dominance doesn’t extend to groceries, which are still mainly bought in stores. To break into the market, Amazon acquired upscale grocer Whole Foods Market, a deal that sent Kroger’s shares plummeting. 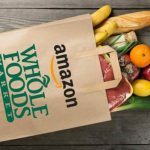 The eCommerce king now offers free grocery deliveries from Whole Foods stores for its Prime members. But what’s unique about this tie-up is Kroger’s plan to sell the technology to other retailers; several are already testing it. According to some estimates, if Kroger discovers a hit on its hands with the shelving, its newest addition to the market could be an important part of achieving the additional $400 million in operating profit by the end of 2020 that it has promised its investors. Digital shelves are not the entire plan to get there; Kroger has also been expanding and updating its offerings, remodeling stores and making online ordering easier for both curbside pickup customers and those looking for delivery. On the tech front, Kroger has already recently invested in robot operating warehouse and begun experiments with autonomous grocery delivery. 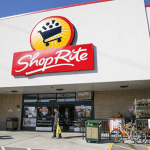 The 2019 the grocery market is an incredible space in terms of potential. The question for Kroger is if it can level up its digital game — with a little help from its friends — enough to stay alive in a race where everyone is looking to draw and delight consumers.